Also Te Papa, the Museum of New Zealand, the most vibrant and interesting museum in the Southern Hemisphere, is just a stroll away around the waterfront past Frank Kitts park. This fascinating Island is a scientific and historic reserve administered by the Department of Conservation (DOC). It is steeped in local history, from early Maori settlement to a prisoner of war camp, and quarantine station. Now it is being allowed to revert to its native flora and fauna. Being rodent free, the birdlife is amazing, and you may even be lucky enough to see the native tuatara that have been reintroduced to the island. The views from all over the easy walking tracks on the island are unsurpassed and not to be missed; we recommend spending at 2 – 3 hours exploring. There are no catering facilities so please bring your own food and water. Visitor numbers are limited to protect the island over the busy summer period. The island is a predator free island so please check your belongings for pests before arriving on the island. 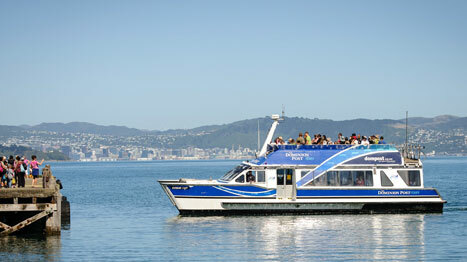 You will go through a bio-security check when you arrive at Matiu Somes Island. Pets and Bicycles are not permitted on the island (push chairs are allowed). 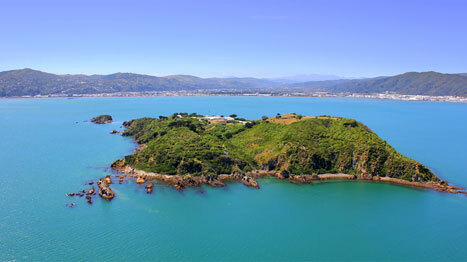 For more information about Matiu Somes Island please visit the DOC website. 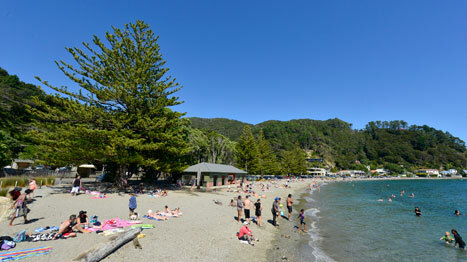 Days Bay and Eastbourne Village are attractive seaside townships served by restaurants, shops and art galleries. Known as “Wellingtons Playground by the sea” for their bush walks, stunning beaches, kayak and bike hire, spend the day exploring the area. Eastbourne village is 15 minutes’ walk (or 5 minute drive) from Days Bay and is serviced by regular buses. © East by West Ferries - All rights reserved.